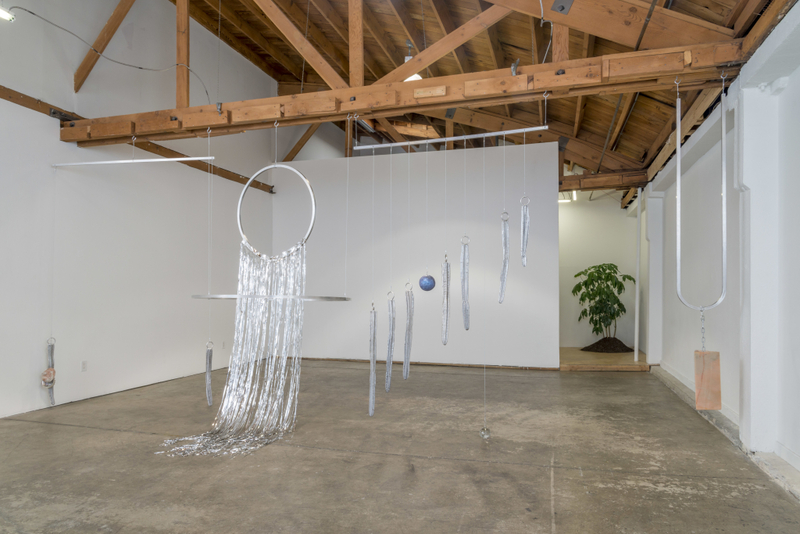 JOAN presents an installation by Los Angeles based artist Fay Ray titled Hanging Sculptures. 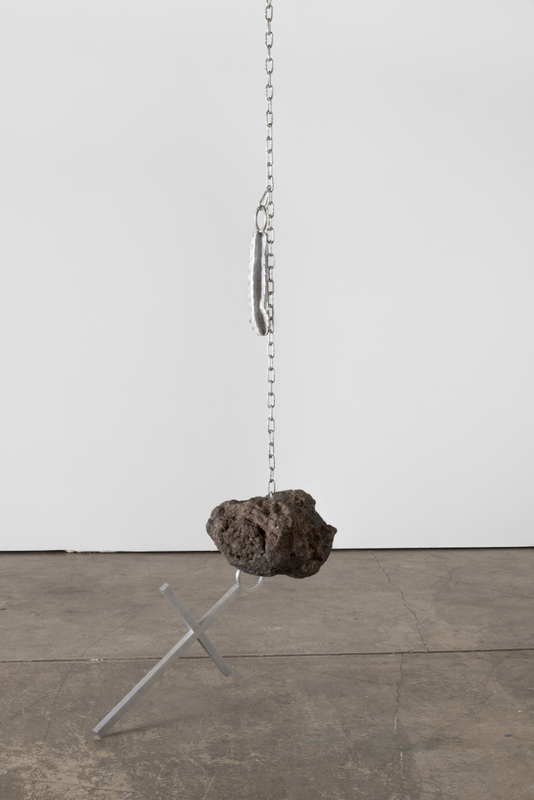 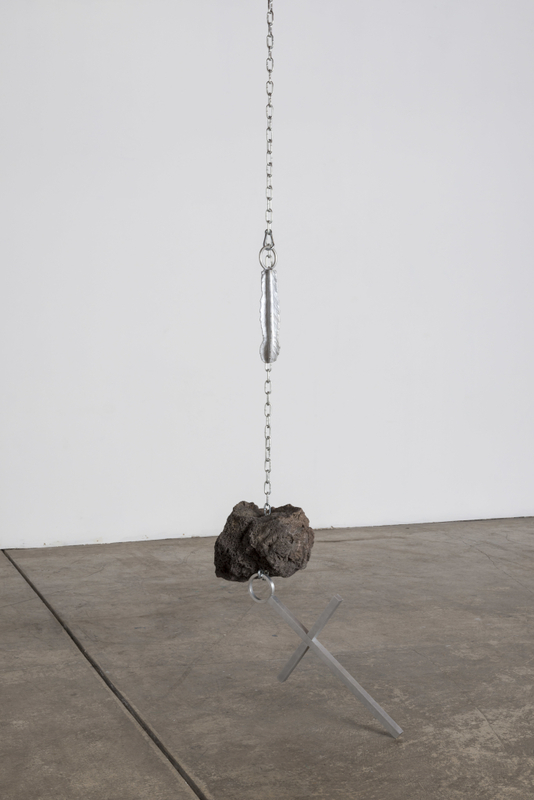 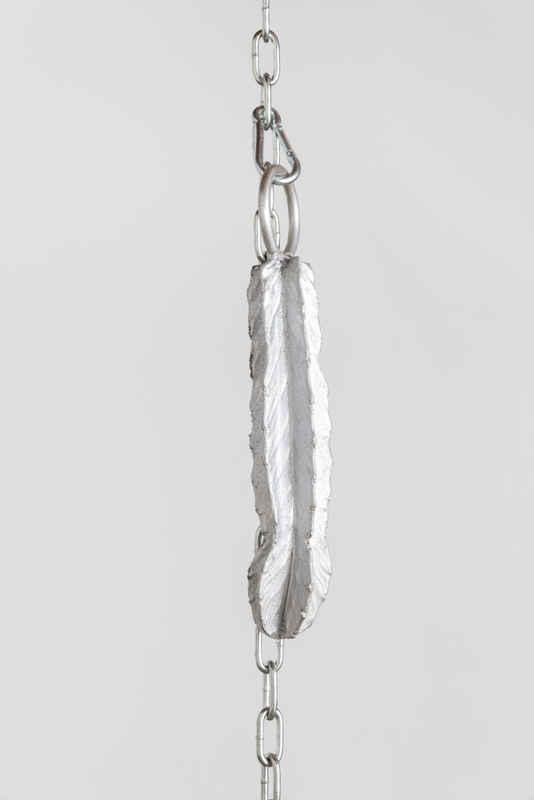 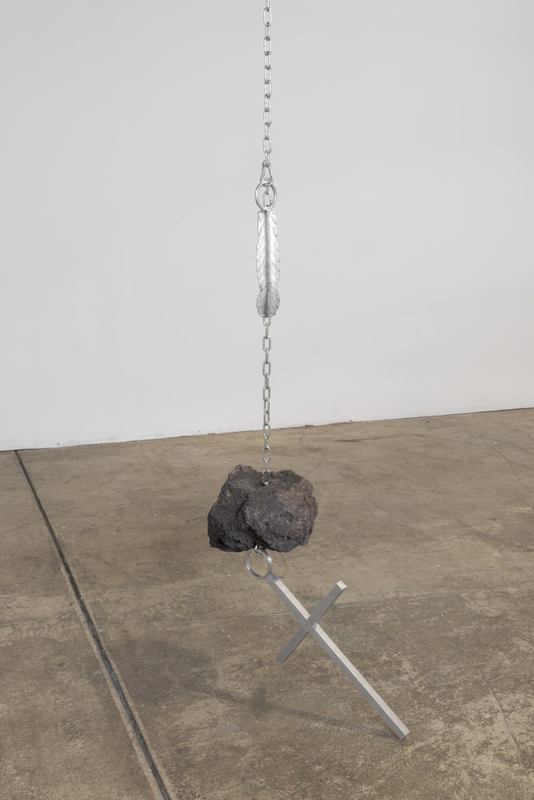 For the project, Ray constructs a collection of objects and forms which include cast aluminum objects, bored volcanic rocks, chain, wire, and natural materials. 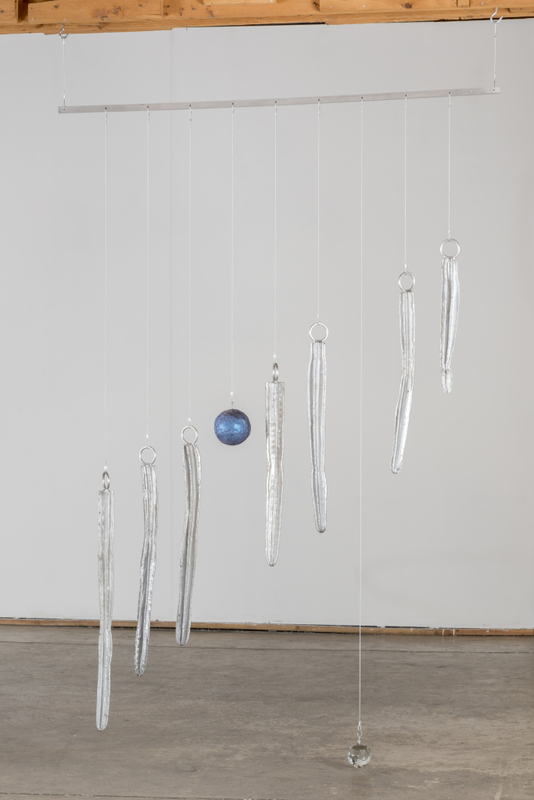 The elements are transformed into a floating constellation concentrated in the center of the space. 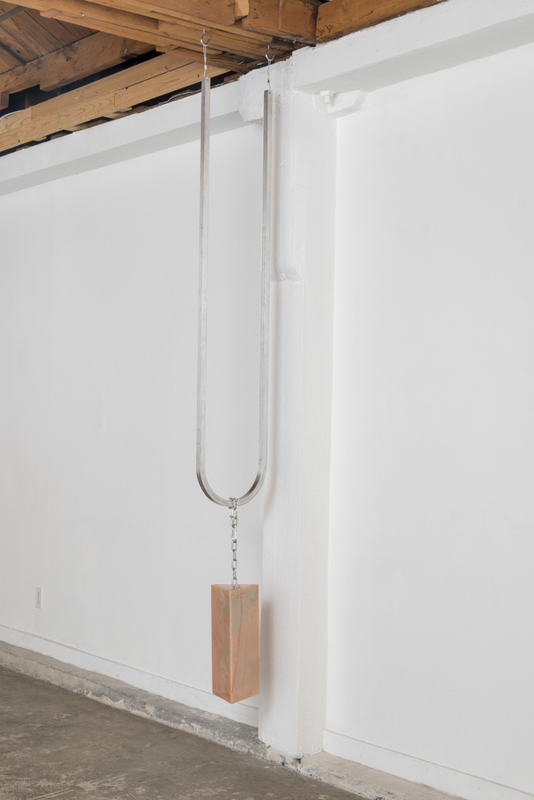 Creating a suspended mass of various textures and materials, Ray’s installation weaves into physical dimensions of the space; floating, balancing, resting, or precariously dangling as it reaches beyond vertical and horizontal limitations into physical space. 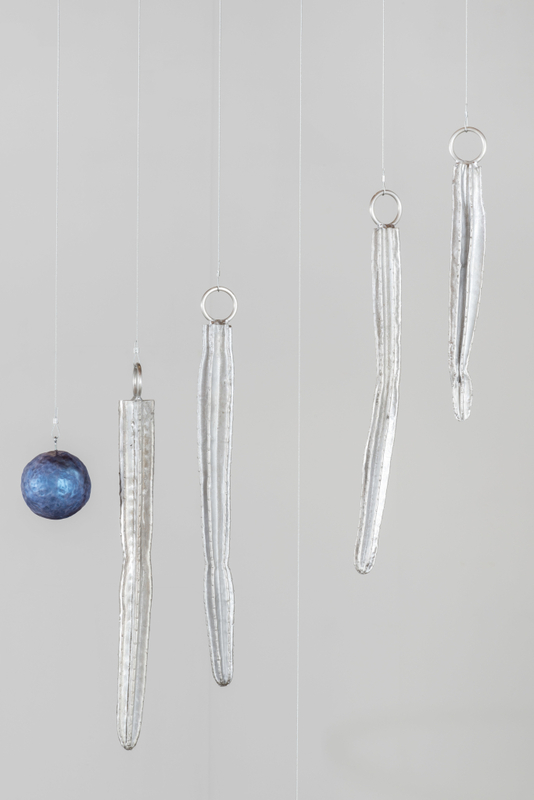 Based on the construction of a massive chandelier or kinetic sculpture, Hanging Sculptures recalls the shapes of charm necklaces, oversize jewelry, and the delicate balance of pendulums. 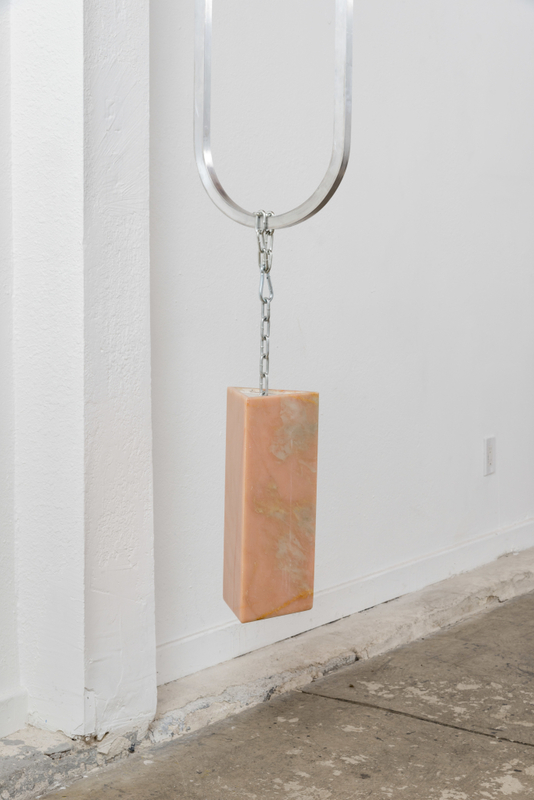 These various references suggest the deliberate arrangements of traditional religious imagery, borrowing the symbolism and composition based in the realm of altars, shrines, and pagan worship. 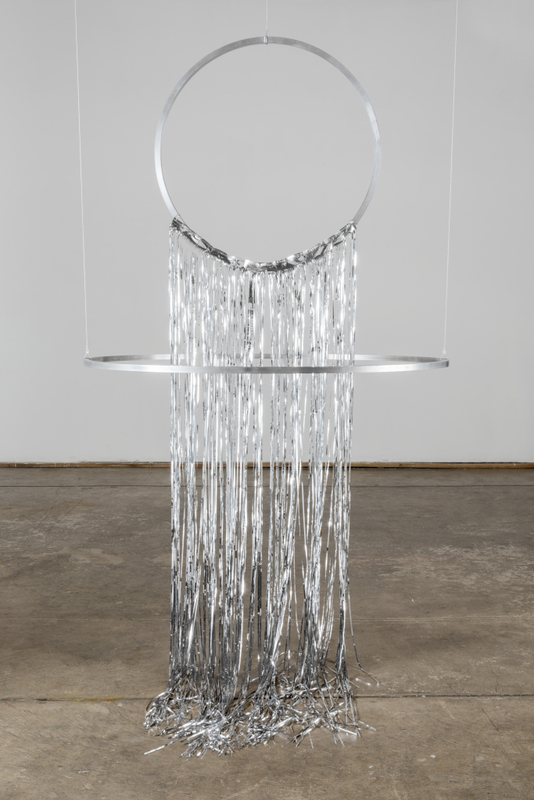 The deliberate placement and stark metallic materiality of the installation recalls ideas of devotion, consumption, and desire as seen through the magnified lens of of a large scale installation made specifically for JOAN. 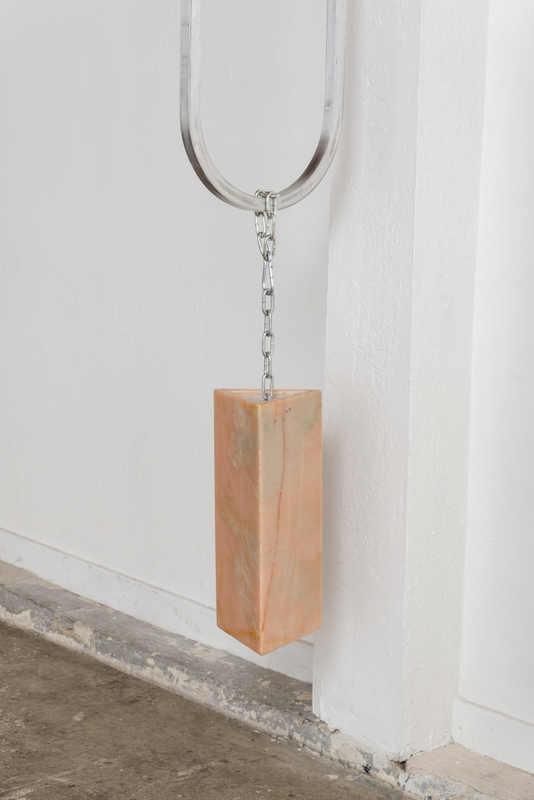 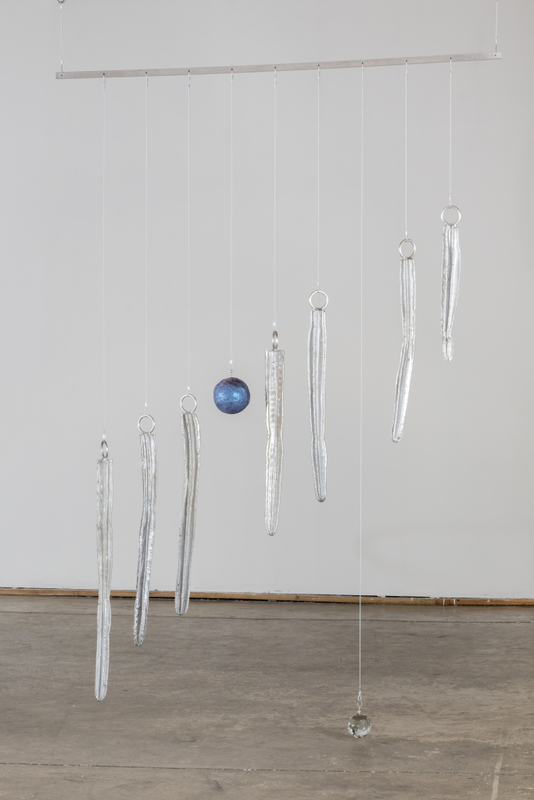 Fay Ray: Hanging Sculptures is organized by Gladys-Katherina Hernando. 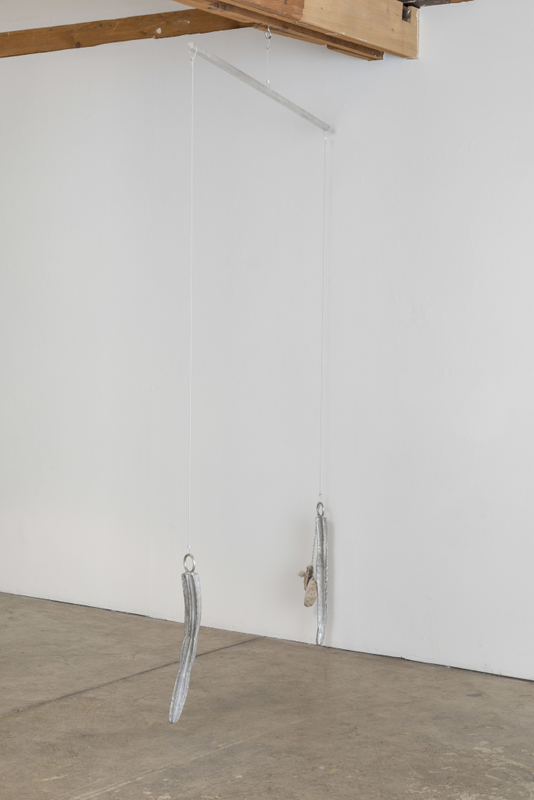 Installation view of Fay Ray “Hanging Sculptures,” JOAN, May 2015, photo by Joshua White. 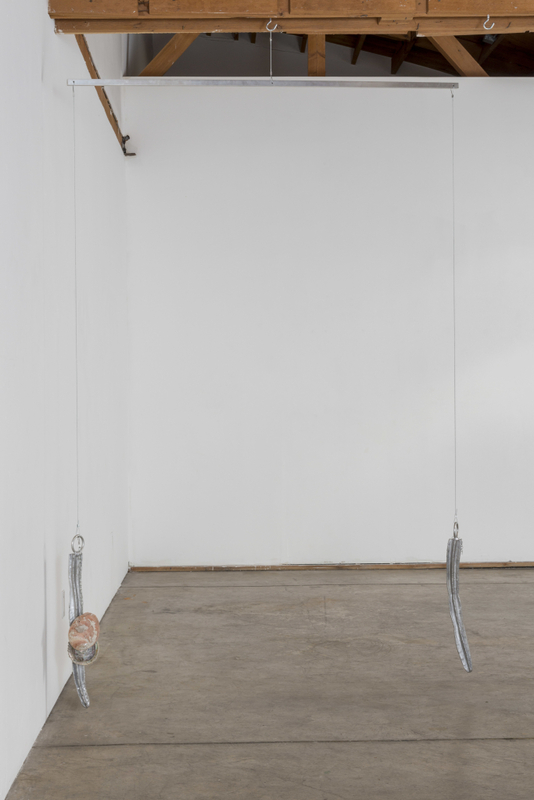 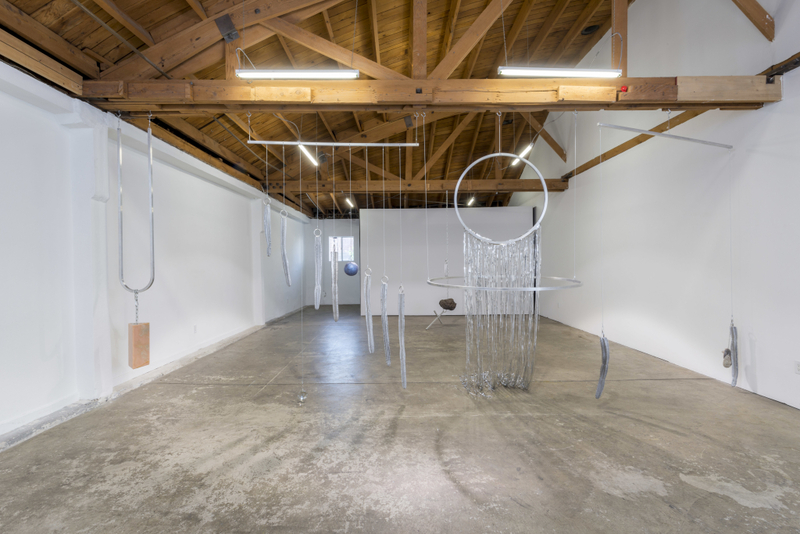 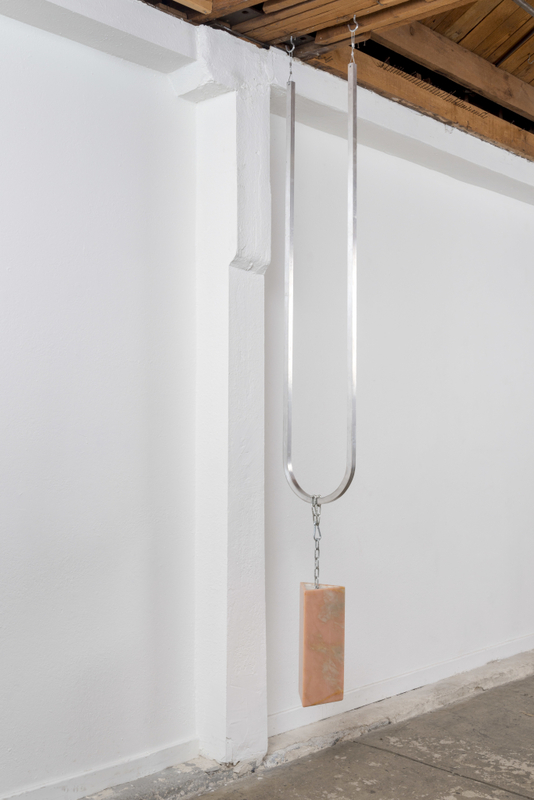 Installation view of Fay Ray “Hanging Sculptures,” JOAN, May 2015, organized by Gladys-Katherina Hernando, photo by Joshua White. 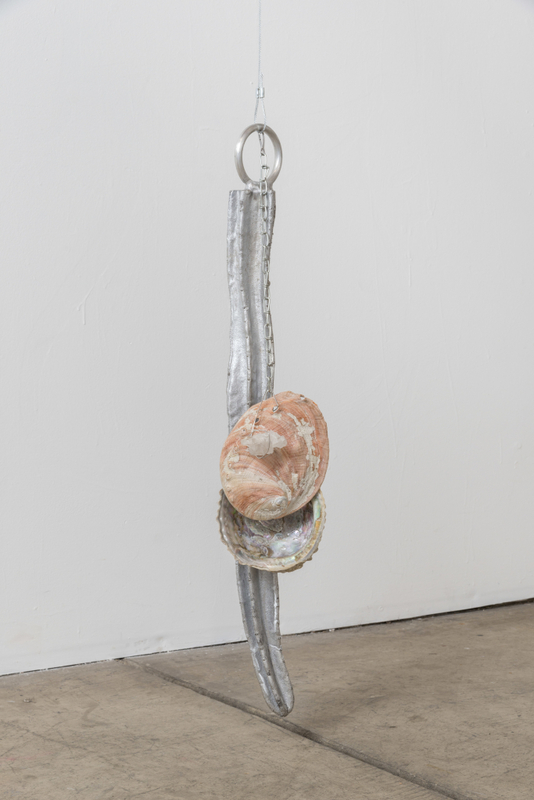 Detail view of Fay Ray “Hanging Sculptures,” JOAN, May 2015, photo by Joshua White.